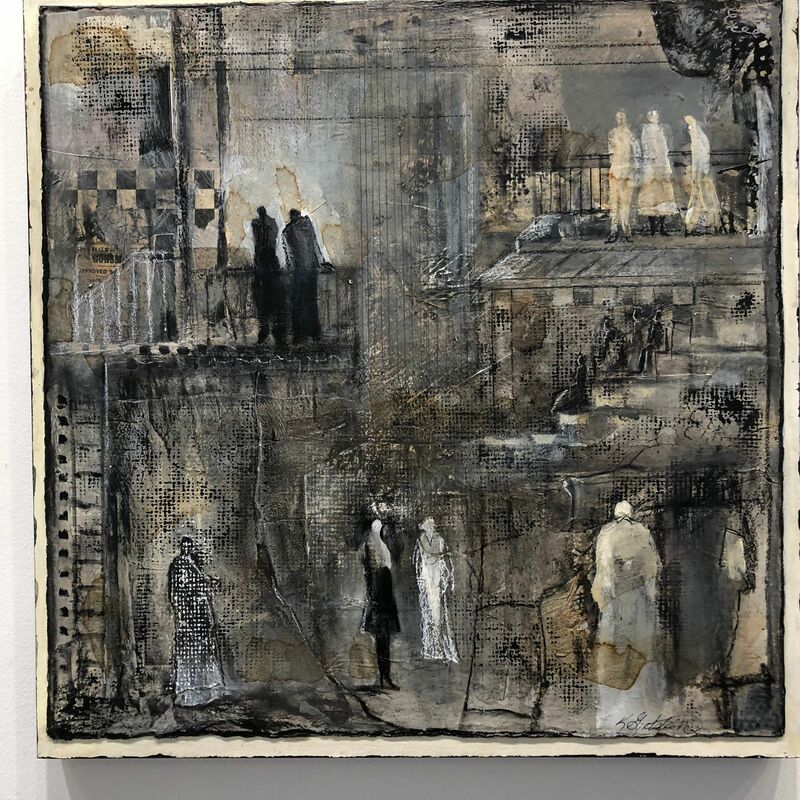 Come share a delightful show, Karen Gjelsteen’s PASSAGES, on the theme of Entrances and Exits, Reinventions and Transitions, and Journeys of all Kinds. There will also be an artist’s reception on Friday, Dec. 7, from 3–7 pm. Please come and join us for some celebratory libations, music and cheer! 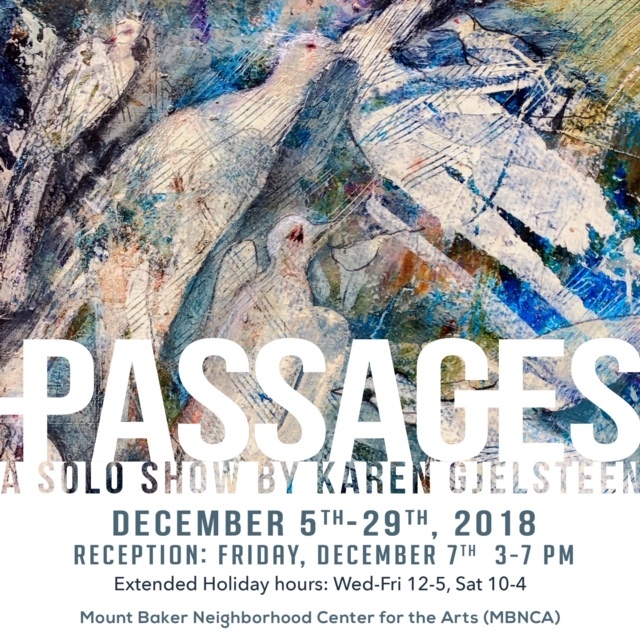 Mount Baker Neighborhood Center for the Arts is an inclusive South Seattle art center showcasing local artists of all abilities, including artists with disabilities and from under-served communities. MBNCA exhibitions, workshops, and events are designed to provide creative experiences for ALL artists and audiences. I eagerly anticipate visiting and will do so for this current showing, Healing & Recovery. Mount Baker Neighborhood Center for the Arts (MBNCA) is located in the Mount Baker ArtSpace Lofts, directly along Rainier Avenue at the Mt Baker Lightrail Stop. Stop by MBNCA, visit our neighbors, and have a cup of coffee at Compadre Coffee, all in the ArtSpace building.